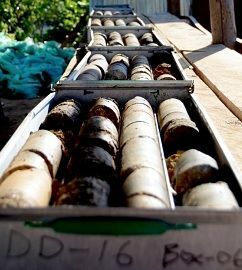 Black Rock Mining’s (ASX: BKT) considered approach to the execution strategy for its Mahenge graphite project in Tanzania finds it effectively sold out of its first two planned stages of production within months of completing a definitive feasibility study. With Syrah Resources having just declared commercial production, Black Rock's CEO John de Vries thinks the company has timed its run to production perfectly. "In two years, we've gone from a scoping study for a small 50k tonne per annum operation to a DFS for a large 250k tonne per annum mine with a life of over 30 years. This has also been achieved against a backdrop that has seen one of the worst equity conditions for small cap miners in living memory," he said. "Graphite fundamentals are increasingly improving, particularly if you have the right product portfolio. "We are seeing continued demand in the energy storage sector, but the real excitement has been in the expanded section, where interest for higher spec concentrates has been stunning. Besides Syrah, we are the only other project that can see 250,000 tonnes per annum of production." But Black Rock plays a long game and has positioned itself to take advantage of the increased demand for graphite. "We are of a view that in order to attract finance we needed to complete a 'heavy' definitive feasibility study (DFS); basically a study that would pass the sort of due diligence reviews that a bank or strategic investor would want to complete, and that is what we set out to do," he said. "The DFS is the foundation of our financing strategy." de Vries is confident of completing finance and having "a chrome shovel event" later this year, with an eye to being in production in 2020. The DFS has outlined a low capex, high margin operation with low technical risk and superior economics, capable of selling three different products off the one process circuit, into a graphite market where both demand and price are forecast to double in the next decade. Black Rock set out to complete the DFS to deliver a financial strategy and de Vries believes the company has firmly addressed any execution, product and country risks. The execution was addressed by the work that went into the engineering to ensure a simple, straightforward, three-stage modular operation. The product risk was answered by operating a 90 tonne pilot plant and, based on marketing feedback, establishing the ability to tailor its products to produce three different grades - 95%, 97.5% or the ultra premium Mahenge ULTRA PURITY-FP™ Flake 99%+ LOI. 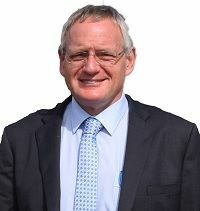 The ability to produce samples to order has also led to three separate offtake agreements, the third being signed earlier this month, that combine effectively to snap up the entire production of the company's first two and a half production modules and have Black Rock already contemplating a fourth, self-funded module. Heilongjiang Bohao, which de Vries describes as the "BHP of the graphite business" signed the first offtake in October for up to 90,000 tonnes per annum (tpa) in year three, which was the largest offtake signed by a graphite developer "by an order of magnitude" at the time. Small to mid-sized battery market-focused Quingdao Fujin signed the second for up to 15,000tpa, with de Vries saying success in this market segment would build confidence in Mahenge's ability to supply premium quality anode precursors to the emerging EV market. Taihe Soar, a Dalian-based trading house, recently signed the third and largest offtake, for up to 100,000tpa by year three, demonstrating Black Rock's capacity to think through a situation and tackle an entirely new market. As for the country risk, Black Rock has shown what can be possible thanks to its focus on business integration and empowering Tanzanian involvement. 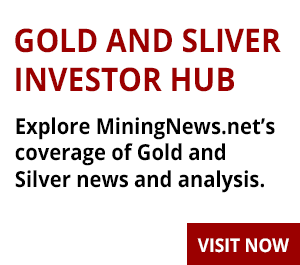 "The fact that we've been able to complete a heavy DFS, apply for a mining licence, receive our environmental permit and railed out a 530t bulk sample, talks to the fact that we are getting on with developing the project," de Vries said. He is particularly impressed with the country's educated and motivated workforce. "Our site supervising geologist taught himself to fly the drone then taught himself how to do 3D photogrammetry so we didn't have to bring in a Lidar-based aircraft survey," he said. "Now I have a digital terrain map. "If that's the level of motivation and skills you're dealing with, my hardest job is keeping up. "It's a great example of the capacity you've got in the country and unlike in Australia, people complaining about only having four flavours of ice cream in the mess is not going to be an issue." 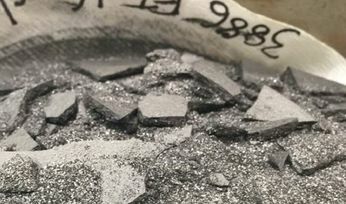 The project is underpinned by Mahenge's flake resource, which at 212 million tonnes grading 7.8% total graphitic carbon makes it one of the largest JORC-compliant flake graphite resources globally. The DFS has outlined a three-stage operation delivering up to 250,000tpa of 98.5% graphite concentrate over 32 years. It puts the post-tax NPV (10% discount) at US$895 million with an IRR of 42.8%. The capex for the 83,000tpa first module is estimated at $115 million and de Vries is confident of gaining finance, most likely through a mix of debt and equity. "There is emerging competition," he said of the talks underway regarding different financing strategies. "The simple fact is we have the only project capable of matching Syrah from a supply perspective, we have the only product in the space that can achieve 99% purity without acid, we have industry low capital intensity per tonne of annual production and industry low cash costs to customer, supported by very low project opex and a logistics solution to customer that is unmatched. 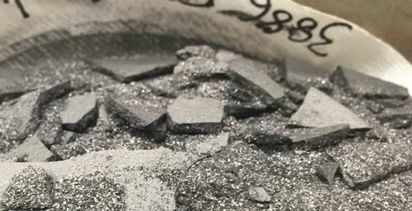 "It is for these reasons we are very confident about securing financing and ultimately producing 250k tonnes plus per annum of premium graphite product." Another tool in Black Rock's strategy to gain finance was to commission an independently written report by former HSBC analyst, Orior Capital's Simon Francis, to provide potential financiers with a better understanding of the project, the team, its strategy and the outlook for graphite supply and demand. Mahenge has been dubbed "the most compelling graphite project"
The 68-page report released in January dubbed Black Rock's Mahenge "the most compelling graphite project" and tipped a share price rise by a multiple of 4-to-11 (to A16c-40c) over the next year. Investors took note, and Black Rock shares shot up more than 50% within days to 5.6c, prompting a price query from the market regulator. de Vries, who was integral to gold miner St Barbara's turnaround at Simberi a few years ago, says the market was beginning to recognise the depth in the Black Rock team. "One thing I love about this company is that we don't hold the ball, we pass it to who has the best skills for that particular point of play," he said. "Clearly I played a significant role in the study stage and I'll have a significant role to play in the financing stage but I'm learning a lot from [chairman] Richard Crookes who's done it for 15-20 years. "It's a sign of maturity about our organisation, we recognise when to handball to the right person." Turning to the graphite market, de Vries is in a very comfortable position given the strong demand being demonstrated. "What do you do when you've sold out of over 80% of your targeted production and are only using 40% of your resource base?" he said. "The answer is simple - you work on progressively delivering a larger mine, in our case a fourth self-funding module that is easily supported by our logistics solution that critically involves rail to the largest port in the region. "A few potential customers who missed out have come back to us - it's a good position to be in." Black Rock's marketing research showed people were excited about batteries and electric vehicles, but the company decided to target easier market entry "to keep the lights on" while working through prequalification to meet battery-grade standards. "We literally could've sold two to three times our expected volume, it demonstrated to us we had the right product blend to generate cash flow while we go through prequalification," he said. Mahenge's graphite can suit the thermal management, lubricant, polymers and plastics, energy storage markets and engineered products including foils. He said Black Rock was fortunate in that its product differentiation meant it had a foot in both sides of the changing transport market, with fire-retardant expanded material used in car components including brake pads and its fine material suitable for EV battery anodes. "So as your transport industry converts from conventional internal combustion engines, all we do is transfer our product that goes into that space into the EV sector," he said. "Because we've got coarse flakes, we can make it into a small flake, you can't do the reverse." Other potential catalysts to increase demand include new building standards governing fire-retardant cladding, and an increasing demand in China for premium grade material. De Vries likens the quality of Mahenge's graphite to the iron ore situation, with higher-grade material from Australia and Brazil attracting a price premium. "Courtesy of tighter Chinese environmental regulations, manufacturers are now looking for brands that deliver better spheronising performance and have purer flake that reduces the refining intensity," he said. "I think graphite has got a massive future." Meanwhile, Black Rock is firmly focused on locking in finance to get construction underway this year. "We put a serious effort into making complex things simple in our DFS," de Vries said. "Through the actions of the DFS, the study process and our execution model, we really have simplified the project and we are now starting to see the beginning of the market re-rating that we expect has a long way to go, when you consider we are still only trading at around 3% of our project NPV."